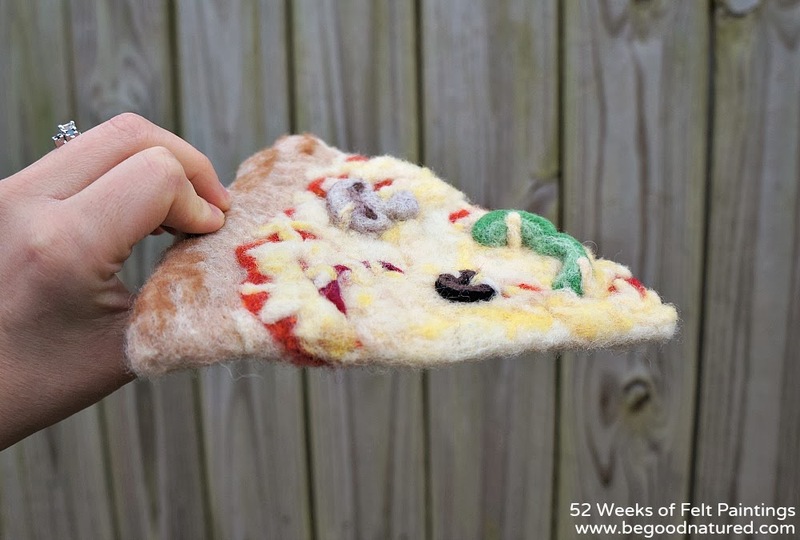 I'm stretching the definition of a felt painting this week. They don't always have to have four sides like weeks 1, 2, 3, and 4, right? 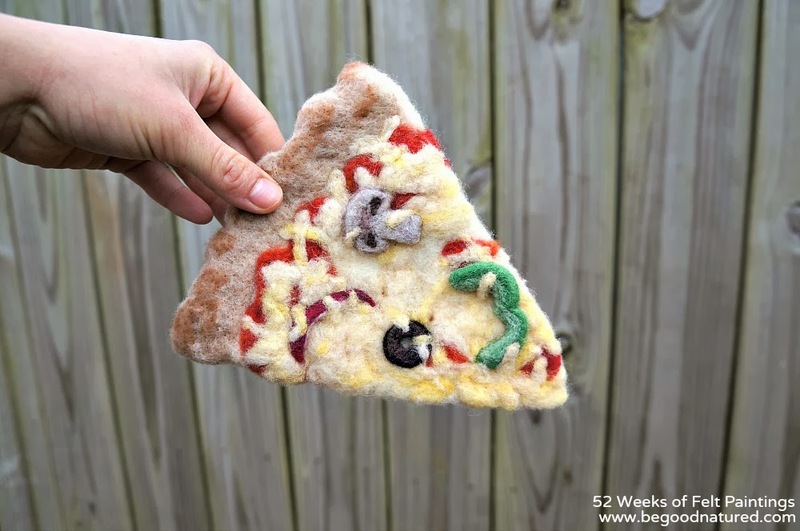 In the pile of felted canvases that my husband made, I found a triangle piece that looked very much like the shape and size of a slice of pizza. Ha! The decision was made that very instant--felt pizza comin' right up! I have to admit that I was ridiculously excited to make this pizza. And I'm thrilled with the way it came out. 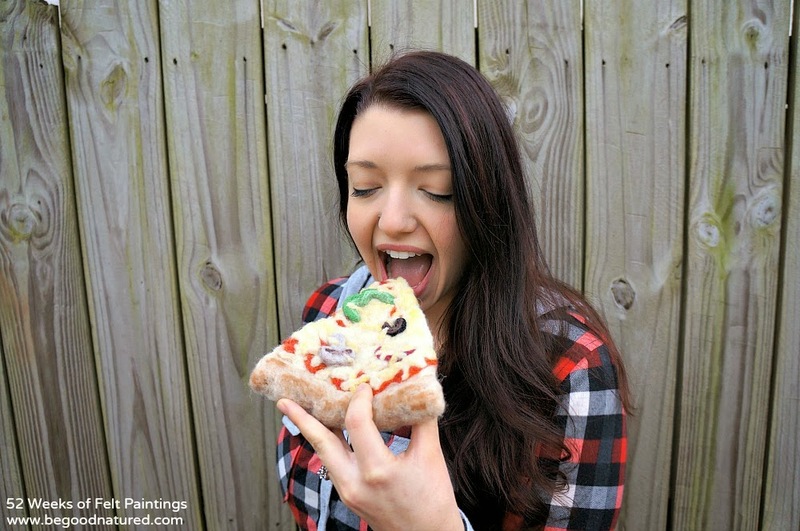 We usually eat our pizzas either loaded with veggies or with pineapple and hot pepper. 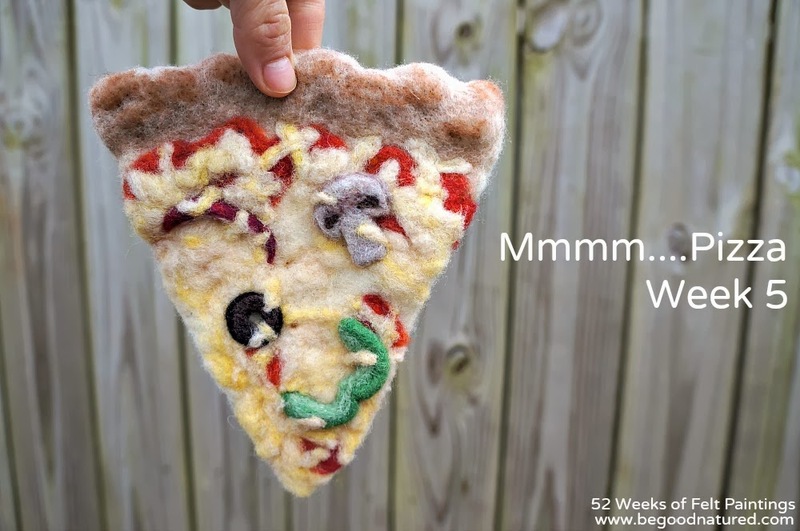 So, naturally, this one has veggies, too! 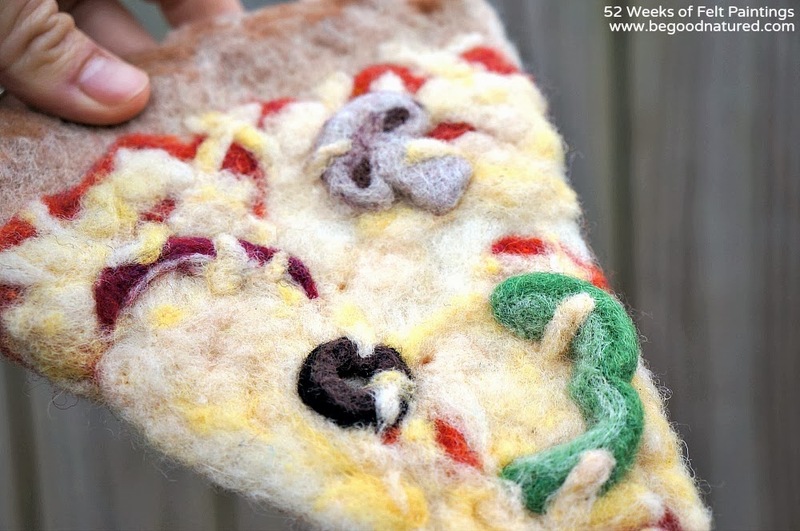 What's your favorite kind of pizza?? that looks so real and delicious! i bet kids would have a blast with that. Hahaha! Hilarious :) but totally perfect for a play kitchen!